First solar panel for the electric boat. 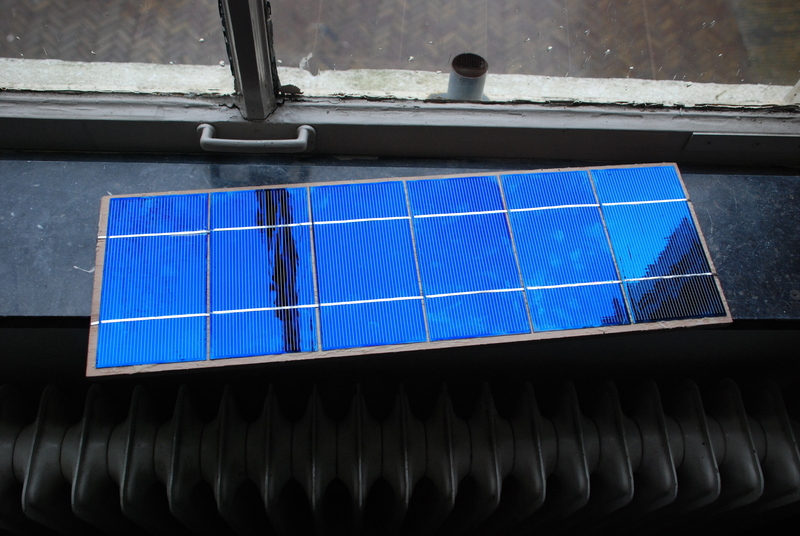 I bought some PV cells on e-bay and put the first panel together this morning. This is my first DIY solar project, so I started out a bit shaky, first breaking a cell and then heating one up too much while soldering, which caused the conductive layer to come off, but after that, things went smoothly and I have completed three of these panels now. Next, I intend to encapsulate the cells in resin, but I haven’t quite figured out what type to use yet. I get the impression 2-component silicone is best, but It is rather expensive and I wonder if it is hard enough when it is the only protection. I prefer not to use anything else like glass or so. Many industrial cells are encapsulated in epoxy, but I haven’t found one (yet) that is UV resistant and won’t discolor. go the home made solar panels!!! Not to knock Jeanneau but everyone is going to saildrive.